In this aspect, it’s extremely versatile and homeowners in and around Palm Beach Gardens opt to use this material in their landscaping. 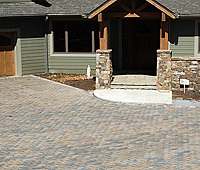 We at AAA Pavers handle installation of all these features and concrete is a very strong and durable material. With the right kind of maintenance, it can last for years without any trouble. However, there are times when weather conditions impact the material and it may develop cracks, show oil stains or even tire marks. All these things can mar the look of your property and you should consider getting concrete restoration done on any of the elements that are showing signs of wear. We have been providing excellent services to customers across the region and will ensure that the restoration work is handled to perfection. Once these features have been protected, you can also opt for annual inspections & cleanings- this ensures the longevity of the concrete. 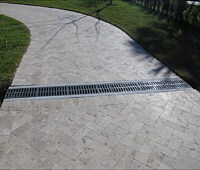 Most concrete driveways, pathways and walks have a surface sealant- traffic and weather cause deterioration in the condition and this leaves the concrete open to a lot of damage. In some cases, lifting and sinking makes the damage irreparable. If you ignore fixing this in time, liquid can penetrate the concrete and the installation will rapidly deteriorate. This makes it important for you to attend to the issue before it becomes too severe. We have the expertise to evaluate the condition of these features and carry out concrete restoration as required. This can save you a great deal of money on replacement and it keeps your investment protected. If you have noticed any deterioration in the concrete surfaces on your property in West Palm Beach, Lake Park, Boynton Beach or any of the surrounding areas, call AAA Pavers without delay. We will visit your property, evaluate what kind of work has to be carried out and provide you a quote. Once you have approved this, the concrete restoration work will be carried out to your 100% satisfaction. We will transform the look of these spaces and ensure that you have outdoor spaces that look rejuvenated and attractive. It will also make your driveways and pathways safer to use and will add to the value of your property too. For more information about concrete restoration, call AAA Pavers on 561-441-8028. You can also use this online form to contact us.